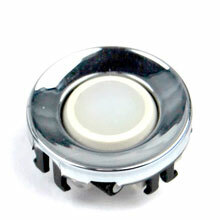 Brand New High Quality Internal Joystick Trackball With Chrome Ring For BlackBerry 8100 8300 8800. Replace your cell phone broken, damaged or cracked joystick trackball with new one. Buy this High Quality Internal Joystick Trackball With Chrome Ring For BlackBerry 8100 8300 8800 for replacement at great wholesale prices with no minimum order quantity! Friendly Reminder: Special skill and techniques required for proper installation. Think twice before you disassemble your cell phone! It may also compatible with many different cell phone models (we are not listed all compatible model). Please check your cell phone's user manual for specific joystick trackball support.